QR codes are here to stay as an accepted form of marketing, cleverly integrating the offline with the online. Although most teenagers have a tough time understanding QR codes, they’ve reached the mainstream in such a way, it’s hard to imagine a bus shelter that doesn’t have at least one QR code in the corner. But QR codes are capable of so much more than just being printed on something. Below is a selection of my favourite uses of QR codes, some as part of a strategic marketing plan, some just plain crazy! I particularly like this case study, as it shows that the brand has really considered how QR codes can benefit both them and the consumer. RL thought about the content at the end of the QR code, instead of just how it can be used. It’s interactive windows allow you to shop when the store is closed, if you pass by and see something you like. You can scan the QR code and instantly be taken to the relevant product on the site, which you can then purchase. This uses 2 trends perfectly: QR codes and mobile commerce. You can really see this being of use to consumers, particularly for impulse shopping. Pass by the window and the product could be on its way to your home in seconds. The ultimate in convenience shopping and a great example of QR codes being used for something tangible. It’s quite hard to stand out from the crowd at SXSW, but marketing company Red Door Interactive did this, when it developed a mobile scavenger hunt, that drove traffic towards installations that included a laptop covered in cockroaches (thankfully behind glass). The treasure hunt was carried out in March last year, around the time that QR codes really started to appear, despite the technology being around for years. The treasure hunt involved following clues that could be uncovered either by scanning the QR code or receiving clues via SMS. We first posted about this amazing project last week. To promote their new loan to customers, AXA created a billboard that had a giant QR code made up of paint cans installed on the top. This perfectly combines 2 current trends: 3D billboard installations and QR codes. Now this is pretty cool, Michael Bloomberg, the mayor of New York is getting behind QR codes and has launched an initiave for QR codes to be displayed around the city, leading visitors to extra information such as the history of a building or statue. What I like about this though, is that it’s really opening up information. There are plans to place QR codes on restaurant windows, which would allow you to see details from the Health Inspection Department, as well as any codes they may have violated! 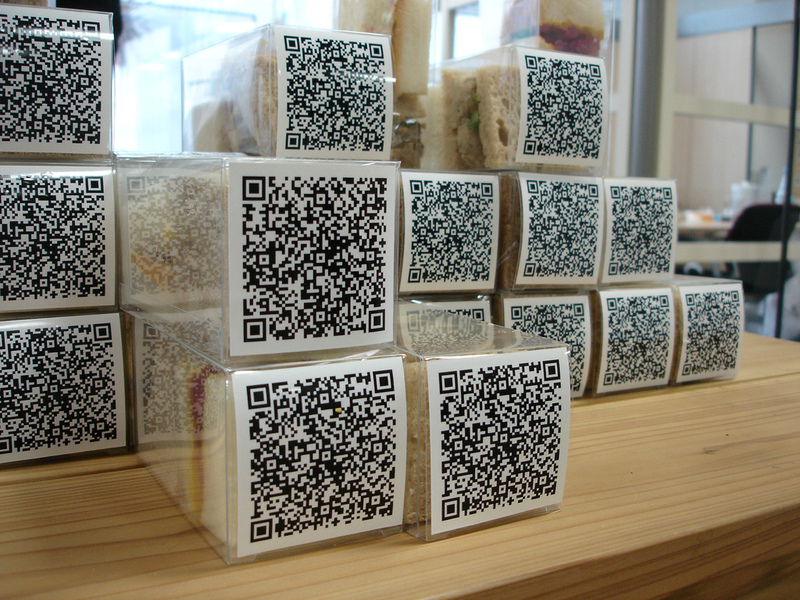 This is using QR codes to really empower people and is an important step in businesses becoming more transparent.